This blog is about keas. Keas are parrots. Keas live only on the South Island of New Zealand. There are about 1000 to 5000 keas on the South Island of New Zealand. 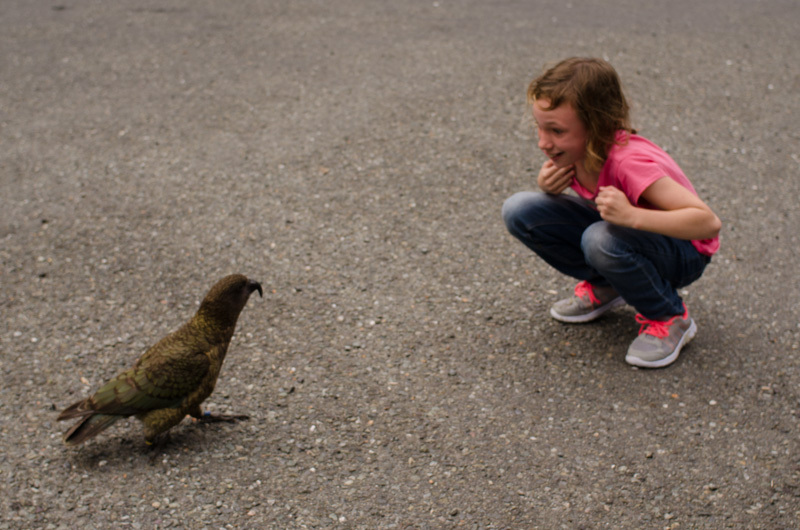 Scientists are not sure how many there are, because keas like to move around a lot. A keas territory is about 4 kilometers in area. 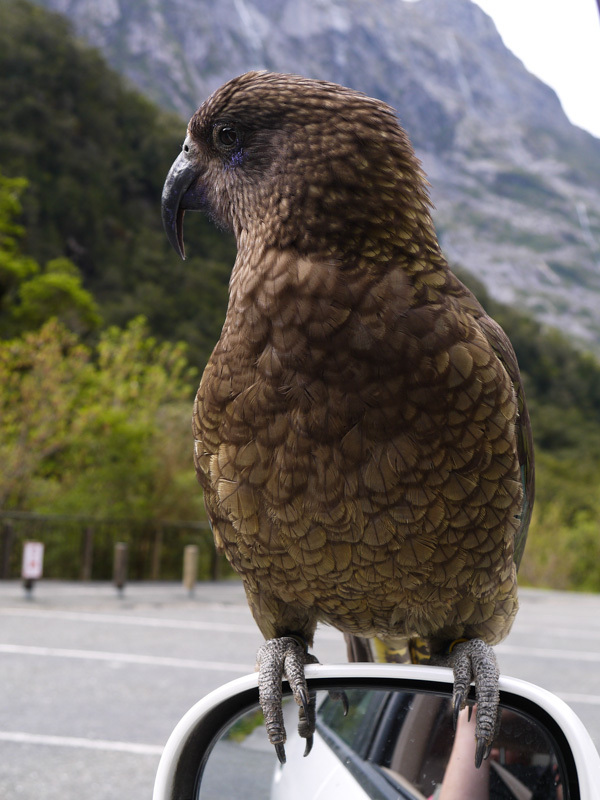 Keas are very curious and one time a kea stole someone’s passport. Keas are on the endangered list. Keas are endangered because they were shot down for harassing the sheep. The government offered a price of $65 per kea in the 19th century. Keas would kill the sheep and that is why people shot them. But they do not do this anymore. 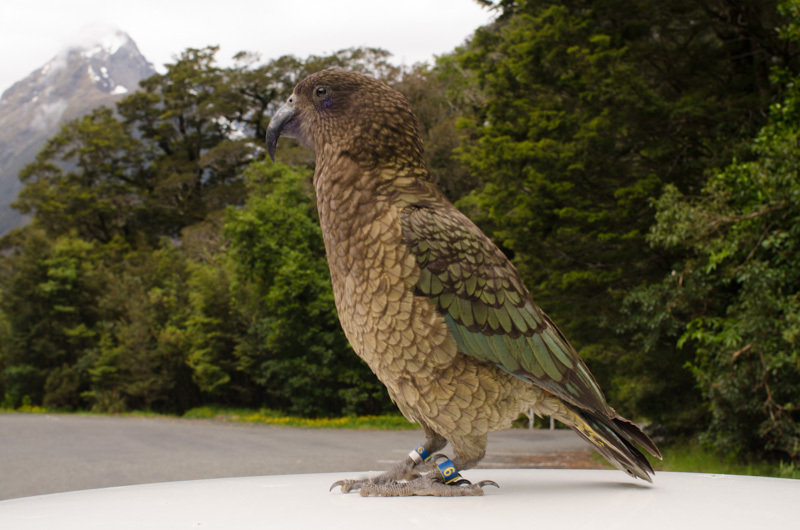 The threat now for keas is humans, stoats, possums, and rats. 60% of kea eggs will not hatch, because stoats and other pests will eat the eggs and chicks. The government is setting up traps for pests such as stoats, possums and rats. But sometimes little chicks get caught in the stoat traps and eat the poison. Keas lay 4 eggs per breeding season. They lay eggs on the ground in burrows. When a male kea finds a mate they are stuck together for life. Keas when full grown are 50 cm and have a wingspan of 1 meter or 3.3 feet. Keas live to about 40 years old. 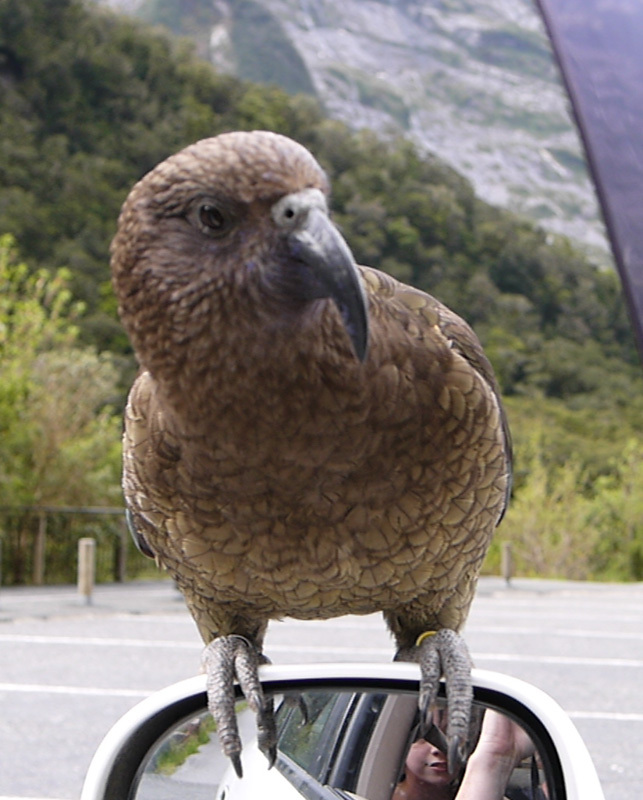 Here is our story with a kea encounter. We were driving and my mom wanted to go on this boring hike. When we pulled into the parking lot, there sat a bird on top of a car. 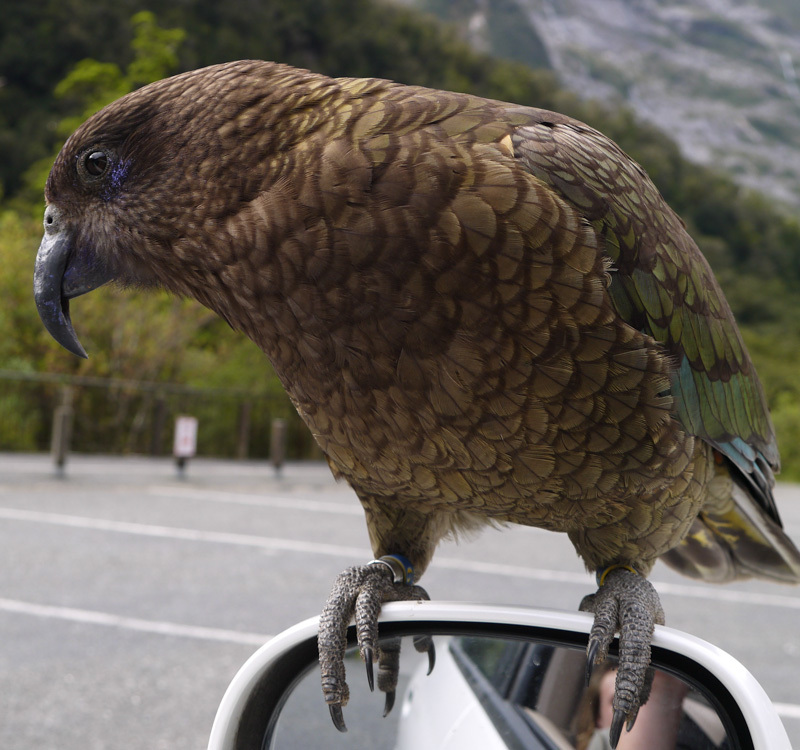 The kea then flew onto our car’s side mirror. It just sat there looking at us while my parents took photos and then it flew onto the roof. It hung upside down and looked through the open window. Its’ head was inside the car. We got out of the car. I sat down in the parking lot. The kea ran towards me then stopped and backed away. There is another time he almost landed on my arm. I named him Keke. He was awesome. This January we will finally be returning to the United States after traveling around the world for a little over 26 months. 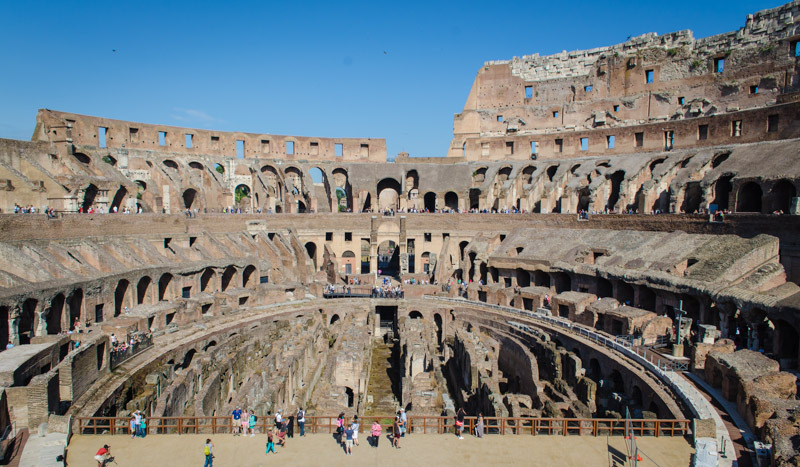 In that time we have experienced culture, customs, and shopping in 26 different countries. While each country has had it’s own uniqueness and we have enjoyed each of them, there are a few things that we have really missed about the United States. Family and Friends: We have really missed our family and friends and look forward to seeing them when we return to the US. Ice: For some reason, the rest of the world does not believe in having ice in their beverages. On a hot day there is nothing better than a cold drink filled to the brim with ice. Cheap Gas (petrol): Never again will we complain about having to pay over $4 a gallon for gasoline in the United States, especially when we had to pay over $7 a gallon in Europe and $9 a gallon in Turkey. Bacon: Who doesn’t love bacon! 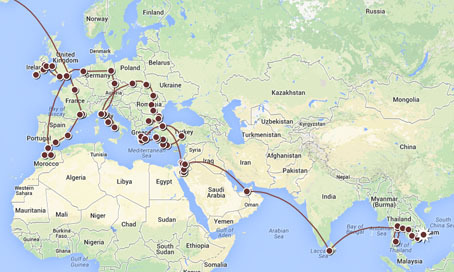 We have found bacon everywhere around the world, although it is much harder to find in Muslim countries. Unfortunately, the bacon we found is just not the same. The United States, without a doubt, has the world’s greatest bacon! Amazon: There have been so many times that we had to search all over town looking for something (besides bacon), often searching for days trying to locate it. And once we did, the prices were usually shocking! If only Amazon.com was everywhere, we could have just ordered what we were looking for and have it delivered. And at the best prices! Drinking Tap Water: During our travels we have often had to rely on bottled water to drink and to rinse our toothbrushes. It will be nice to no longer worry about that. Supermarket Selection: An entire aisle of breakfast cereal? 10 different types of strawberry jam to choose from? Welcome to America! Nowhere else in the world have we seen so many options as what you can buy. Organic? Yes! Sugar-free? Yes! Free Trade? Yes! Generic? Of course! We have really missed the selections available at the supermarkets in the United States. Good Internet: Although the best Internet we have experienced was in Romania, the US is still better with all of the options for free Wi-Fi everywhere. Many hotels around the world make you pay for Internet, and if it says “Free Wi-Fi” you are usually stuck with Internet that is so slow and spotty that we often felt like we were back on dial-up. We have also missed unlimited Internet. Even the Starbucks in New Zealand limits the “Free Wi-Fi” to only 30MB of data. Freeways: Although Europe has freeways; they are often toll roads and can be expensive. To drive across France we had to pay $66 in tolls. And then there are the evil automated speed radar traps. But in many other places, like Australia, there are no long interstates and you end up on small roads or highways and have to go through towns. Driving in many places can take a long time. But in the US, we have long, mostly toll-free, interstates that quickly get you to where you want to go. Prices: The best prices for almost ANYTHING can be found in the United States. Well, maybe not European wines and Spanish jambon. But cameras, clothing, computers, and especially shoes are so much cheaper in the United States. Even though most of the goods are now made in Asia, the prices in the US are still cheaper than in Asia where they are made!!! We hope you have enjoyed our list. 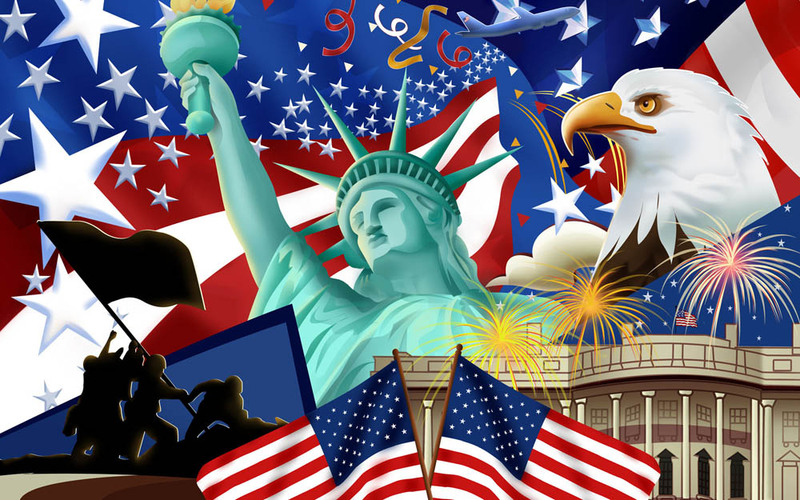 What do you like about the United States?